This site, based at North Carolina State University, provides a publication platform for scholarly, peer-reviewed online publications. 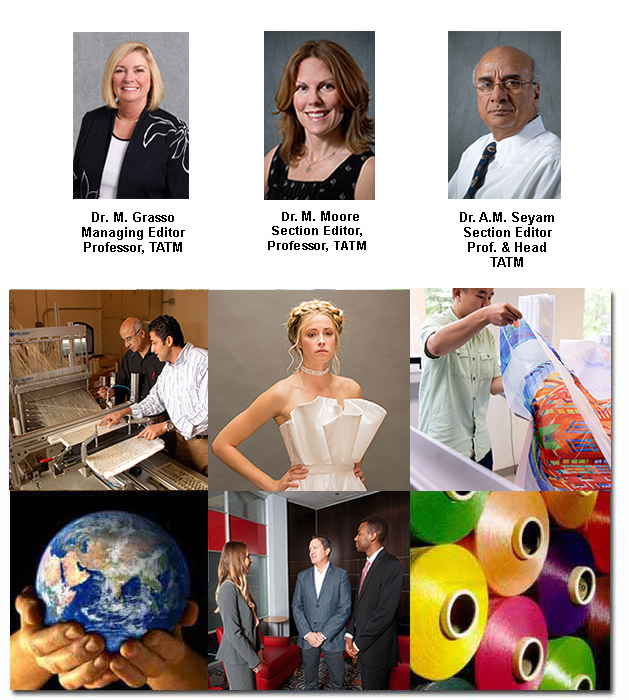 MISSION - To establish a high quality forum relevant to the needs of global industry and higher education that will provide leadership in the timely dissemination of information dealing with all aspects of textile and apparel, technology and management. A peer-reviewed, open-access journal devoted to the science of lignocellulosic materials, chemicals, and their new and improved applications. Research areas of interest include wood products, paper science, lignocellulosic energy, chemical products of cellulosic materials, biocomposites, and novel uses material derived from woody material. The editors recommend the use of Mozilla Firefox or Google Chrome browsers to view the contents of this OJS site. In particular, please use one of these browsers if you encounter difficulties in opening PDF files under the "Table of Contents" for an issue of the journal.